After fans have known for months through official teases and extensive datamining, Arc System Works officially revealed the nine upcoming DLC characters for BlazBlue Cross Tag Battle at EVO 2018. The characters themselves ultimately aren’t surprising, but there’s more to the trailer they showed that wasn’t entirely expected. 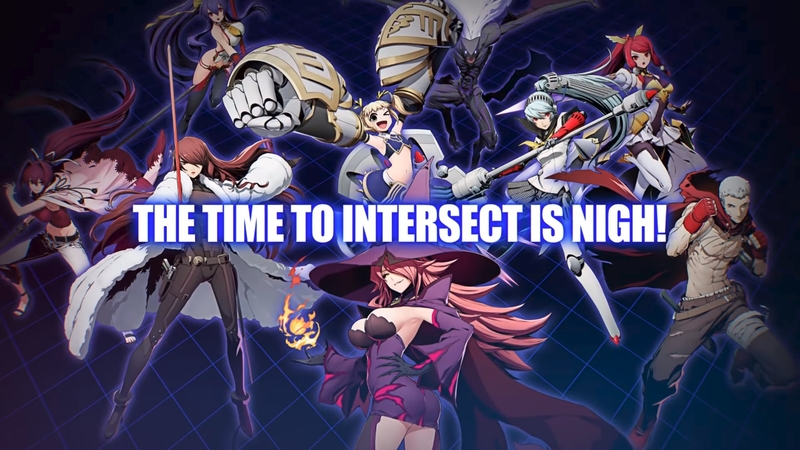 As expected, the trailer shows off BlazBlue’s Nine the Phantom, Izayoi, and Mai Natsume, Persona’s Akihiko Sanada, Mitsuru Kirijo, and Labrys, and Under Night In-Birth’s Yuzuriha, Mika, and Merkava. Fans have known about these characters for months now; after the initial discoveries, dataminers have found full voice lines for each, sprites, colors, and even at least one partly-playable prototype, albeit naturally very unfinished. The first surprise from the trailer was the release date. 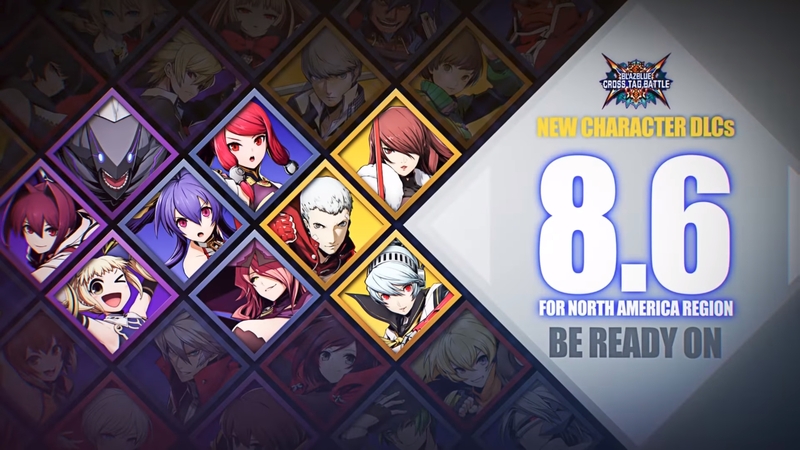 After leaks suggesting a staggered release going into September, the trailer reveals that all nine characters will be available this Monday, August 6, for $4.99 USD per three-character pack (Izayoi/Mitsuru/Merkava, Mai/Akihiko/Yuzuriha, Nine/Labrys/Mika). In addition, players in Las Vegas can try the characters early at Bar Fights at the Mandalay Bay’s House of Blues. 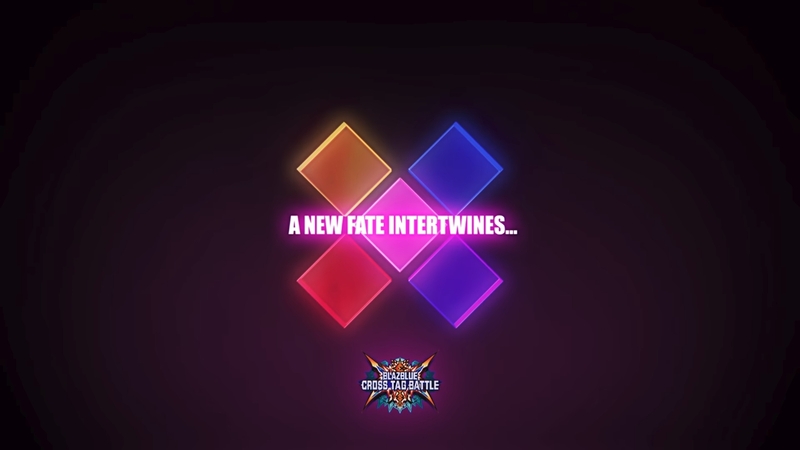 The second surprise came at the very end of the trailer, as the game’s usual four-color logo shifted, along with the line “A New Fate Intertwines…”. A fifth color joined the usual blue for BlazBlue, yellow for Persona 4 Arena, purple for Under Night In-Birth, and red for RWBY. The new color is pink, but with no clear indication of what series the color represents as of yet. Arc System Works announced that nine more characters are on the way, along with teasing another major announcement at Bar Fights. BlazBlue Cross Tag Battle is available now on PS4, Steam and Switch. If you’re interested, you can check our review of it here.